This past Sunday, in the very un-winter-like weather of 74 degrees (!!!! 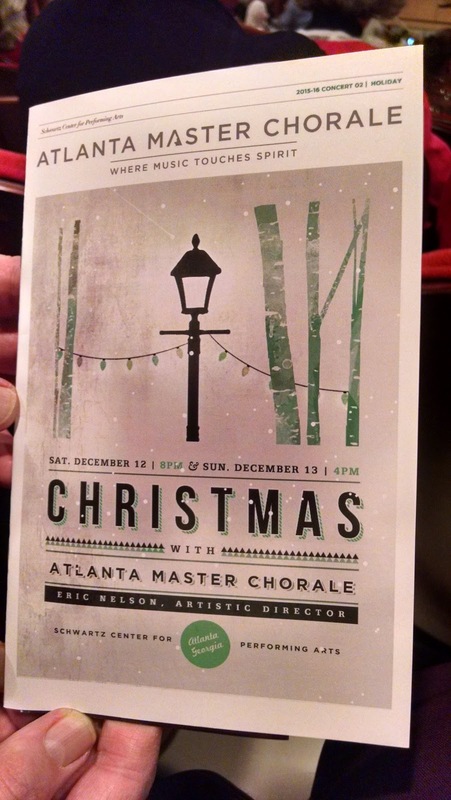 ), we headed to the Emory campus for a performance by the Atlanta Master Chorale at the Schwartz Center. To say the talent represented was beyond amazing is an understatement. The entire program was beautifully done - the production, lighting, voices, timing, selections, instrumentation, humor, & cheer. It brought me to tears more than once - the kind of tears experienced when you are in the presence of beauty, keenly aware if it, & so grateful to be a witness to it. 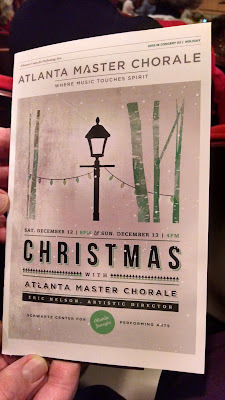 The highlights for me: a wonderful & unique production of Jingle Bells & the Artistic Director sang Silent Night a Capella. Put this concert on your list for next year, and if you'd like to hear them sooner, they have another concert coming up on January 30th. Make These: Cheesecake Strawberry Bites! +Fr. Linus DeSantis, OFM Conv.